MANILA, PHILIPPINES. October 24, 2018 – Suzuki Philippines, the country’s pioneer compact car distributor, demonstrates its continued efforts to innovate and offer Filipinos vehicles that serve as their partners in life, moving with them now and toward the future, with a special preview of the all-new Jimny at this year’s Philippine International Motor Show. SPH showcases its lineup of innovative vehicles and gives a peek into next-generation cars combining fuel economy, distinct styling, and innovative features and functions in line with PIMS 2018’s theme of Future Mobility. The trade event, which runs from October 24 to 28 at the World Trade Center in Pasay City, features the latest and upcoming technologies in the Philippine automotive industry. SPH’s booth underscores not just how the brand has been growing and evolving but also, and more importantly, how its range of innovative vehicles continues to improve to provide the best driving experience now and in the future. Suzuki’s booth presents how the company continues to upgrade its current vehicle lineup to become future-ready vehicles that are compact yet powerful enough to handle Filipinos’ driving needs, in particular in highly urbanized areas. Shuzo Hoshikura, vice president and general manager of Suzuki Philippines for Automobile, shares his excitement for this year’s PIMS. 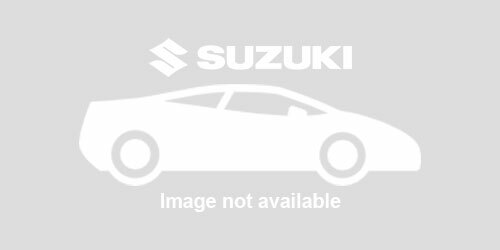 “Suzuki has been for several years now an active participant in the Philippine International Motor Show. PIMS has been a strong platform for us to connect with our supporters much more directly and show them how we continue to upgrade the Suzuki vehicles they have loved. 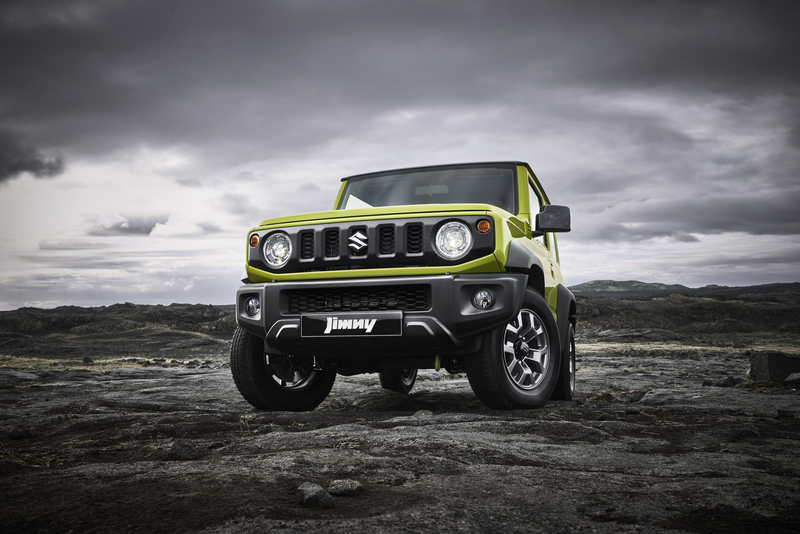 This and the clamor of the local motoring fans, we believe that this event is the perfect avenue for the first preview of the soon-to-be-launched Jimny, which has been one of the hot topics in the local and global motoring industry. We want to give our Filipino supporters an opportunity to check it out for themselves here at PIMS ahead of the official launch,” Hoshikura said. 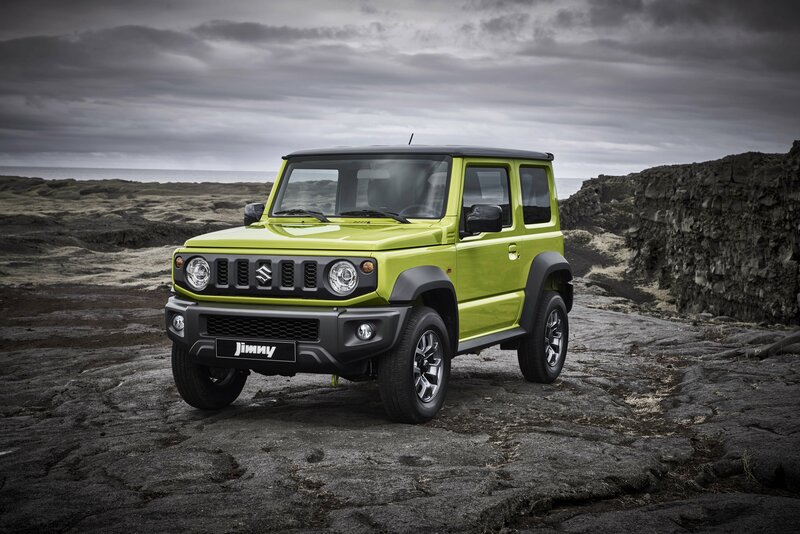 The highlight of SPH’s participation at this year’s PIMS is the most-awaited local appearance of the new Jimny. 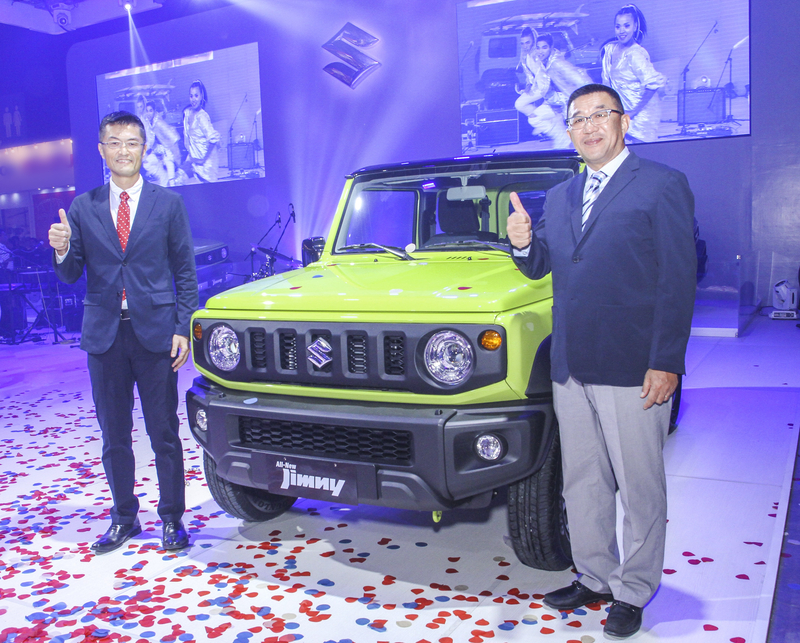 Amid growing industry clamor surrounding the vehicle and after months of silence on whether the new Jimny will indeed be brought to the Philippines, SPH surprises everyone at PIMS with the special preview of the 4x4 all-new Jimny. 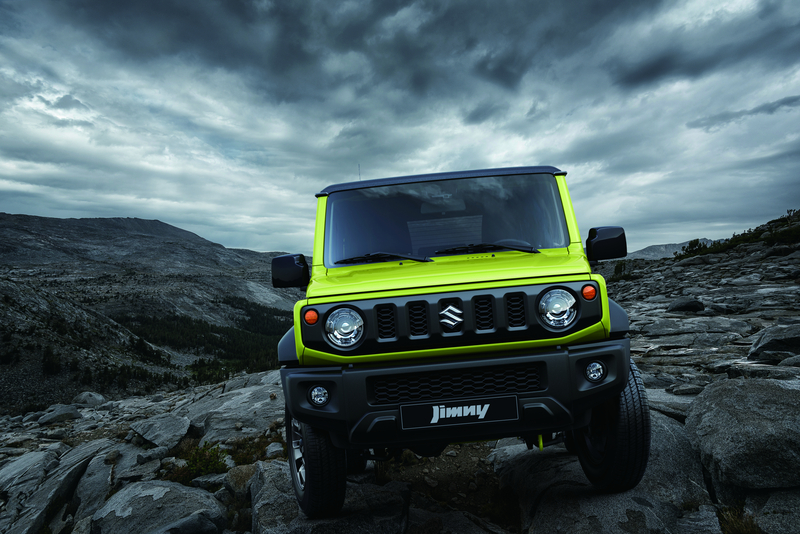 The iconic off-roader features a sturdy exterior yet compact dimensions for easier drivability. Its powerful engine can traverse both narrow city streets and rough terrain, making the vehicle an ideal companion for both urban and off-road driving. Aside from the 4x4 Jimny 2019, visitors to the 7th edition of PIMS are able to get a first-hand experience with Suzuki’s popular vehicles such as the new Swift, new Dzire, new Vitara and Ciaz. SPH showcases the special features and functions of the recently launched all-new Dzire and Swift. Visitors interested in finding out more about Auto Gear Shift (AGS) technology can explore the Dzire. The practical sedan enables automated manual transmission with its AGS functionality, enabling Filipino drivers to enjoy the ease of driving offered by automatic vehicles with the fuel efficiency of manual transmission. Popular dance group GForce and rock icon Bamboo raise the energy further during the opening day. Filipino indie-alternative rock band Autotelic will entertain visitors to the booth on the second day of the event while Kris Lawrence will serenade guests on October 26. In line with the 2018 ASEAN Football Federation (AFF) Championship, the SPH booth will feature the Philippine Azkals as part of the AFF Trophy Tour on October 27. The upcoming AFF Suzuki Cup 2018, set for November in Bacolod, will see the Philippine team compete against Singapore on November 13 and against Thailand on the 21st. Sisters group 4th Impact, which rose to fame after their stint in X Factor UK, and Kristel de Catalina, grand winner of Pilipinas Got Talent, will also entertain guests at the SPH booth at PIMS. On the last day of the trade show, the Suzuki Safety Scouts will share their advocacy on road safety. As part of SPH’s efforts to raise awareness about road safety nationwide, the Suzuki Safety Scouts is open to children aged 4 to 14, who besides being an official scout for free will receive traffic safety training, a safety scout uniform and activity books on road safety. Asia’s Soul Supreme KZ Tandingan will also grace the SPH booth on the last day of the 2018 PIMS. The 7th PIMS, organized by the Chamber of Automotive Manufacturers of the Philippines, Inc. (CAMPI), aims to bring together the country's leading motoring industry players to present the latest in vehicle releases, services and cutting-edge technologies. Exhibit areas open at 10AM and close at 9PM. For more information about Suzuki Philippines and Suzuki at the Philippine International Motor Show 2018, please visit suzuki.com.ph/auto/ and like them on www.facebook.com/SuzukiAutoPH, twitter.com/SuzukiAutoPH and follow on Instagram at @suzukiautoph.